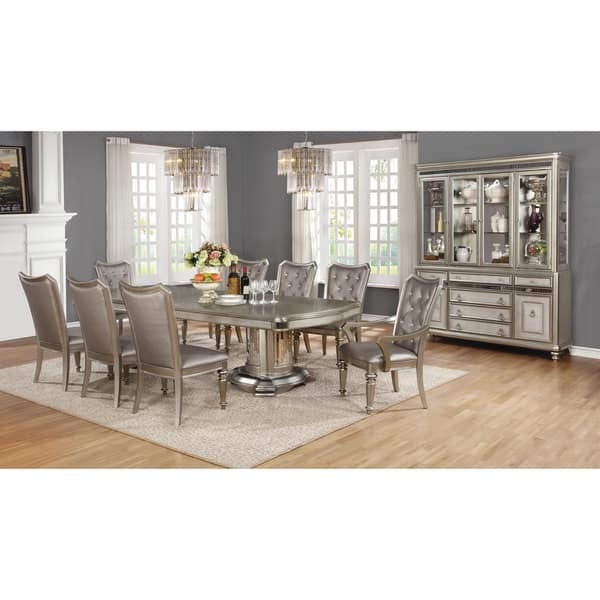 Celebrate in style with the glamour from this metallic platinum dining table. Stylish mirrored table base columns combine to create sturdy support, and complement the striking, mirrored and rounded table edges. Dimensions 80.0 In. X 45.75 In. X 31.0 In. "Are the chairs included with the dining table?" No, this is the table only.